I finished my latest little quilt today. As I was making it, I really thought that it would make such a great gift for a child going off to summer camp for the very first time. I never went to summer camp, but the fabric helps me imagine what it would be like. Guitars, campfires, tents, canoes, swimming in the lake… it’s all there! It makes me wish I had gone to camp as a child. 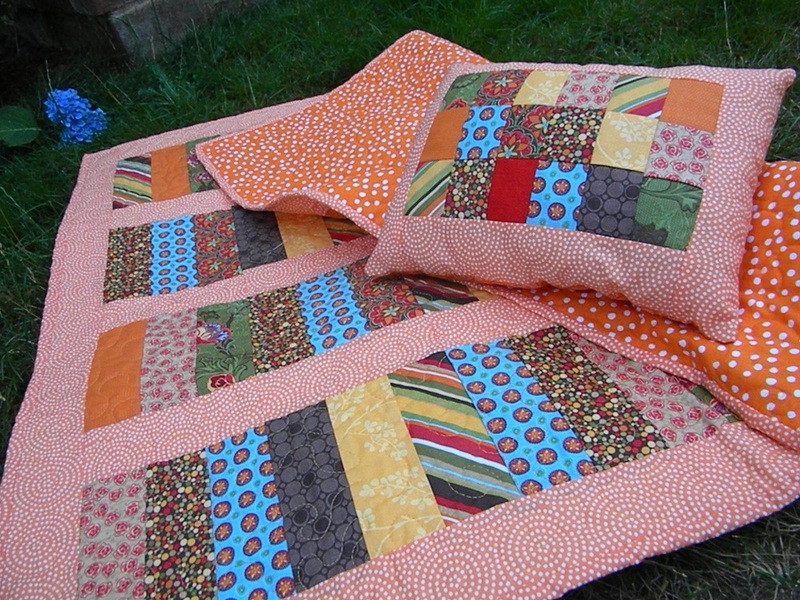 Having a special quilt to take to camp would help a child to feel more comfortable while they are away from home. It will also help to remind them of the fun they had when they return home again. Lizze made an adorable baby jacket that she listed in the shop today as well. It is made with shabby chic fabrics and lined with pink flannel. Head over to our shop and check out our latest listings! There are several other items that we have not mentioned. Give it a look and let us know what you think.